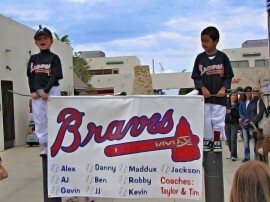 Fun banners for youth sports teams have become as much a part of the environment as the field, balls or anything else. What was once an optional backyard project to promote team spirit has become a standard fixture and something that must be provided. 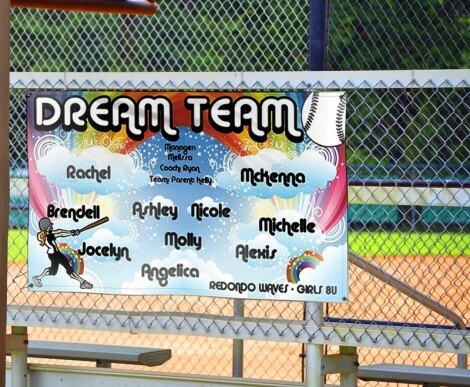 Lighten the load and delegate the team sports banner detail to Outlaw Graphix. We understand that kids these days have many obligations and parents have to see all of them through, but that doesn’t mean they can’t get a bit of help. Outlaw’s designers know the format and can create light energetic banners with that homemade appeal and character, sans the mistakes and misspellings! 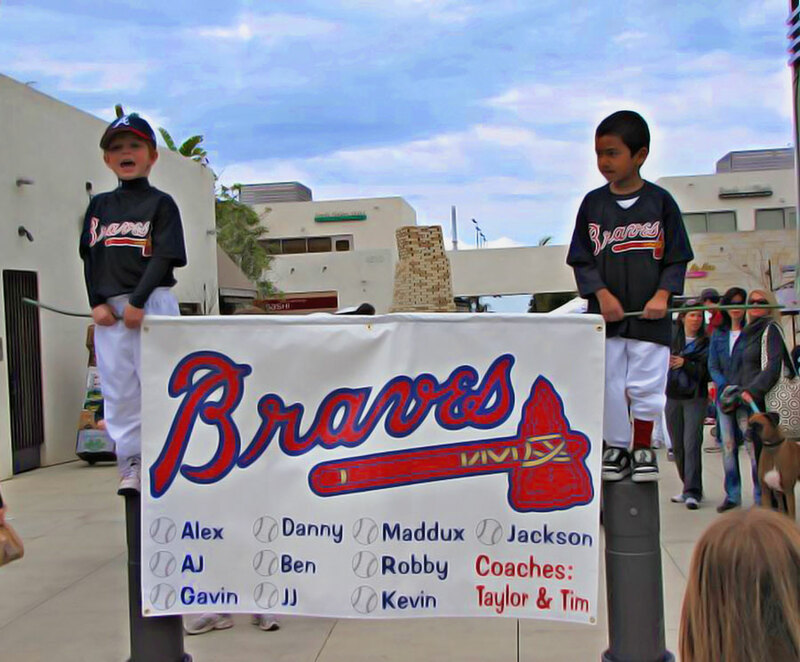 Created on high quality vinyl, Outlaw’s sports banners are durable enough to get folded and unfolded time after time and still maintain brightness and clarity even after baking in the heat of the oppressive sun all day. Outlaw Graphix also creates breakaway banners for teams that want to make that big-time entrance, league title banners to hang at the field, tournament banners or banners to announce any type of future event.